If anybody thought that Nationwide were going to roll over and die, after their being grounded in 2007, they were very very wrong (and to be quite frank, we had our doubts). 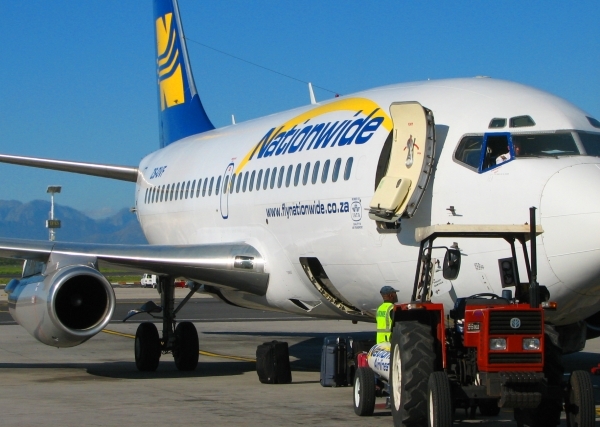 Not only were all the grounded Nationwide aircraft found to be mechanically sound, but they are rolling out the cheapest flights to South African consumers (just like they did last year). Well done Nationwide Airlines. 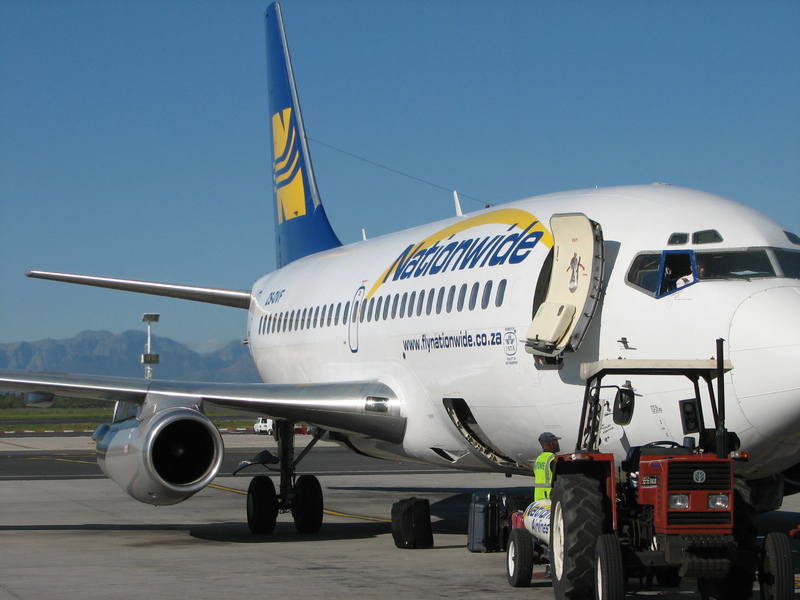 Nationwide Airlines flight 2742 is scheduled to leave Johannesurg at 1850 on the 7th March 2008 and arrive in Cape Town at 2100 (flight time of 2 hours and 10 minutes) - the flight costs R974, a fair chunk less than other airlines are flying for. The flight prices you see in today's survey are the second highest average flight prices (R1442) we've recorded on the Johannesburg to Cape Town flight route. The previous highest average flight prices were for flights on the 21st September 2007 (R1490), on which we had a confluence of school holidays, a long weekend and the Twenty 20 Cricket World Cup in Cape Town. But there's nothing like holiday season to drive flight prices up. 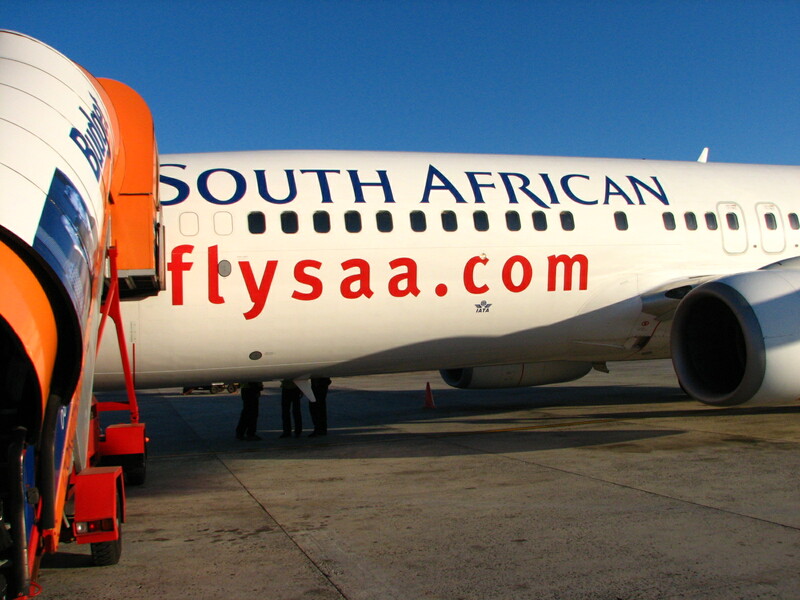 As can be seen from the table above South African Airways has most frequently been most expensive airline with which to fly from Johannesburg to Cape Town; whilst Mango Airline, Kulula Airline and Nationwide have each been the cheapest twice. What does the Nationwide balance sheet look like? Nationwide Airlines are the only major airline in South Africa whose balance sheet we have not seen. Now, whilst we would love to recommend buying their plane tickets, there is a lingering concern that their balance sheet may not be strong after their grounding in December 2007. We urge Nationwide Airlines to publish their balance sheet, so that potential passengers do not have to worry about them going insolvent and Nationwide tickets becoming valueless. As has become the norm in our surveys, SA Roadlink are offering the cheapest bus trip from Johannesburg to Cape Town. An SA Roadlink bus leaves Johannesburg at 1000 on the 7th March 2008 and arrives in Cape Town at 0500 on the 8th March 2009, giving travellers a nice and early start to their Saturday. At R299, the SA Roadlink bus trip is only 31% of the cost of the cheapest Nationwide flight (and from a green point of view travelling by bus spews out far less carbon dioxide into the atmosphere than flying). The Road Lodge at Cape Town International Airport is easily the cheapest accommodation of that surveyed (R355 for the night), whilst the Southern Sun Hotel at the V&A Waterfront is the most expensive (R1,710). Indicative of the demand for hotel rooms at this time of year, there are no rooms available at Sun International's The Table Bay hotel (at the V&A Waterfront). Photo of BA planes taken (on 19 January 2008) from the international departures of Johannesburg's O.R. Tambo International Airport. Note the cranes in the background...roll on 2010. 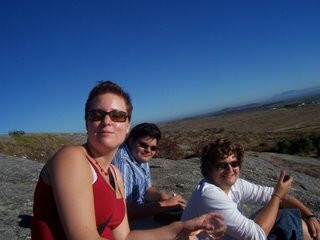 "sand that continued to pelt us in the face at 100 miles per hour"
"completely windswept and treeless plains"
"lunch stop in Hout Bay was truly stunning"
Etaetzsch tell us about the return trip to South Africa via London (about half the blog entry is about London). The flights to South Africa didn't start well, with an "older Australian man sitting next to me and all he wanted to do was talk"..."telling me...how many women are keen on him and he has also beaten up a few people in his day". VISAS to go to the UK? The UK's Soca (Serious Organised Crime Agency) discovered a group that had smuggled 6000 people into the UK by providing them with forged South African passports. Indeed, the Chairman of Soca (Sir Stephen Lander) is leading the charge of those wanting to reintroduce VISA requirements for South Africans travelling to the UK. "We like to think in Ryanair we have a number of traits in common with Southwest. Firstly it's run by the drunken Irish, and we like to pride ourselves on our ability to party, and fly while over the limit. Secondly, the Irish and the Texans have a number of things in common like humility, religion, gun laws." Michael O'Leary (the man in charge of the Ryanair flight machine) speaking to staff at Boeing [who's biggest customer is Southwest]; as written in the book by Alan Ruddock: "A Life in Full Flight: The story of the man who made Ryanair take off".